Overviews of all of our recent Sports Envoys. 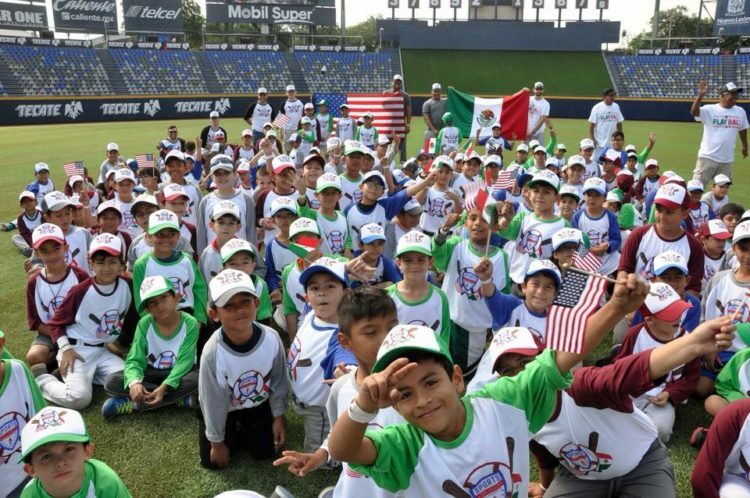 Building on the success of previous Envoy programs, Pedro Feliciano and Francisco Cordero traveled to Mexico to conduct baseball programs, clinics, and outreach. 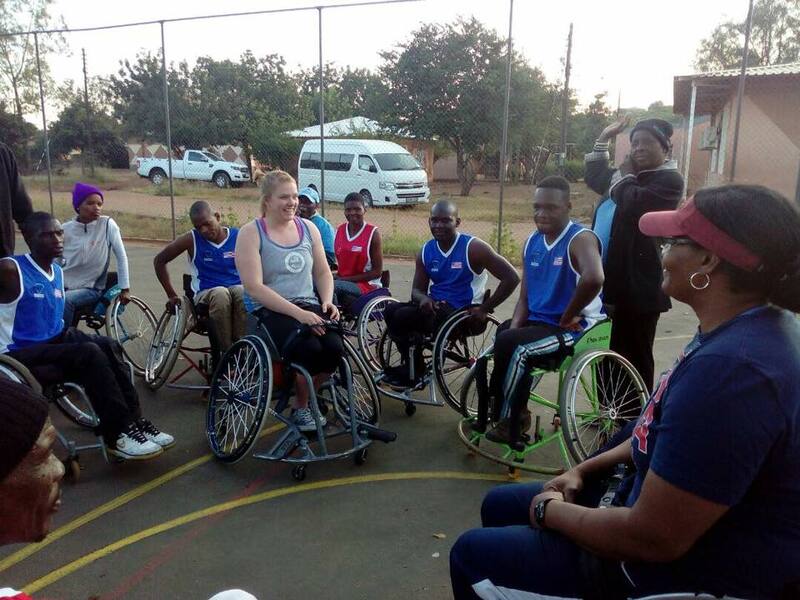 Team USA Wheelchair Basketball members Andrea Woodson-Smith and Rose Hollerman travelled to Gabronne, Botswana from May 19th-25th - March 16th as a U.S. Department of State Sports Envoy. They spent their time hosting a multi-day basketball clinic, met with local government officials, spoke to local groups and individuals with disabilities, and much more. Paralympic track and field athlete Scout Bassett travelled to Guanghzou and Shanghai China from May 10th -16th as a U.S. Department of State Sports Envoy. Scout met with youth and adult athletes, government officials, and non-govermental organizations to spread her powerful message and engage the community in discussion of inclusion and opportunity. 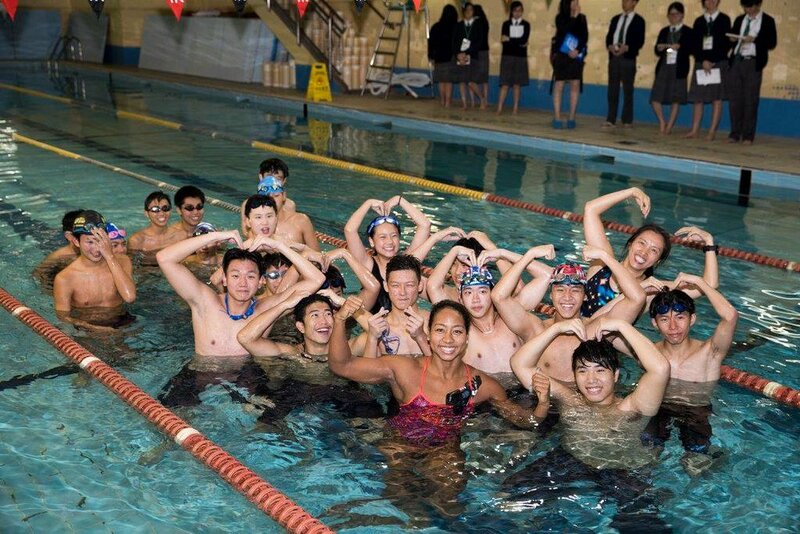 Working with U.S. Embassy in Palau, ECA’s Sports Diplomacy division sent USA Olymplic Speed Skater Brian Hansen to host youth clinics, visit schools to discuss healthy habits, meet with sports ministries, and collaborate with local athletes . The overall theme of Brian's visit was to discuss the importance of healthy habits and behaviors and how sports can play an important role. He discussed at length the idea of getting out and being active, developing positive habits, and setting goals for yourself. Building on the success of the Peruvian indigenous runners Sports Visitor Program, ultra-marathoner Dean Karnazes traveled to Peru to conduct program outreach to indigenous youth and local government and sports officials. The schedule included activities in Lima, Huancayo and Cusco with blind runners, underprivileged kids, elite runners, sports representatives and federations, and high performance athletes. Working closely with U.S. Embassy Abidjan, Joanna Lohman – current National Women’s Soccer League (Washington Spirit) player and former member of the U.S. women’s national team – traveled to Cote d’Ivoire, a country where more than 3,000 people were killed during its post-election crisis of 2010-11. This Envoy program was the final phase in PAS Abidjan’s impressive 3-part sports diplomacy outreach program to foster national reconciliation. The Envoy worked with the diverse group of “National Champion” youth soccer players, who were first selected nationwide in phase 1 (in partnerships with Radiodiffusion-Télévision Ivoirienne (RTI), then traveled on a Sports Visitor program in September 2017 in phase 2. 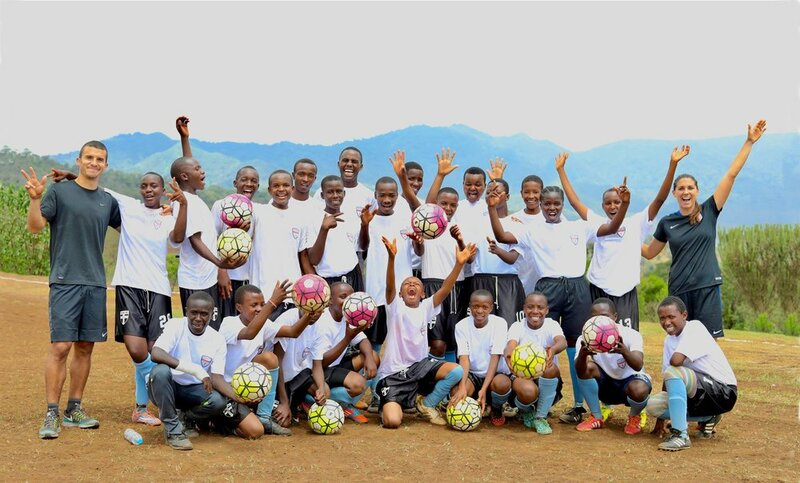 The program served to build reconciliation in a country with deep geographic, ethno-religious, and political divisions, as well as helped develop leadership skills, empower women and girls through sports, and teach conflict resolution skills. Working closely with Embassy Astana and Consulate Almaty, former NBA player Vladimir Radmanovic joined WNBA all-star Taj McWilliams-Franklin in Kazakhstan for a three-city Sports Envoy program. Through this partnership with the National Basketball Federation of Kazakhstan, the Sports Envoys helped launch the Jr. NBA league and provided expertise on 3-on-3 basketball coaching and training. The envoys engaged at-risk youth and speak to how they overcome challenges through dedication and hard work. Working closely with U.S. Embassy Amman, former WNBA All-Star Sue Wicks and former NBA assistant coach Neal Meyer traveled to Jordan through a Sports Envoy program. The program focused on underserved areas in east Amman, Zarqa, and Irbid, areas dealing with issues of violent extremism and directly impacted by the Syrian refugee crisis. 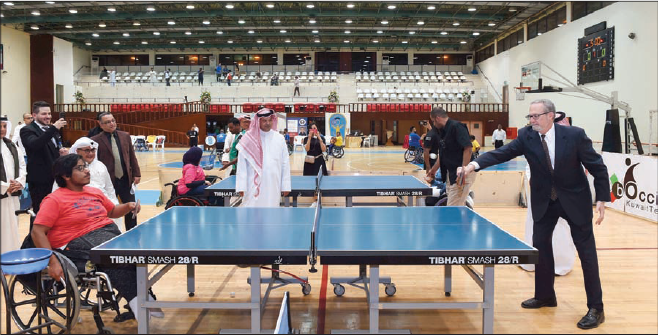 The program and its related media engagement included messaging that exemplified how sports can promote more stable and inclusive communities provide a positive alternative to antisocial behaviors that could reduce tendencies toward violent extremism. This program was also an important tool to address questions related to gender equality and the cultural norms that can limit the opportunities and choices of women and girls. Working with U.S. Embassy Abuja, former Major League Baseball pitcher Jeremy Guthrie went to Nigeria to host youth clinics and outreach to communities at risk. The programming focused on underserved areas in and around the capital Abuja that are particularly prone to violent extremism. This program was also an important tool to address questions related to gender equality and the cultural norms that can limit the opportunities and choices of women and girls. The Envoy was also able to provide first-hand expertise as a guest speaker for a film screening of “Fastball,” a documentary shown as part of PAS Abuja’s concurrent American Film Showcase (AFS) activities. In cooperation with U.S. Embassy Rabat, professional mid-distance runner Maggie Vessey, long-distance runner Shannon Rowbury, and USATF coach/administrator Rose Monday traveled to Morocco for a track and field envoy program. 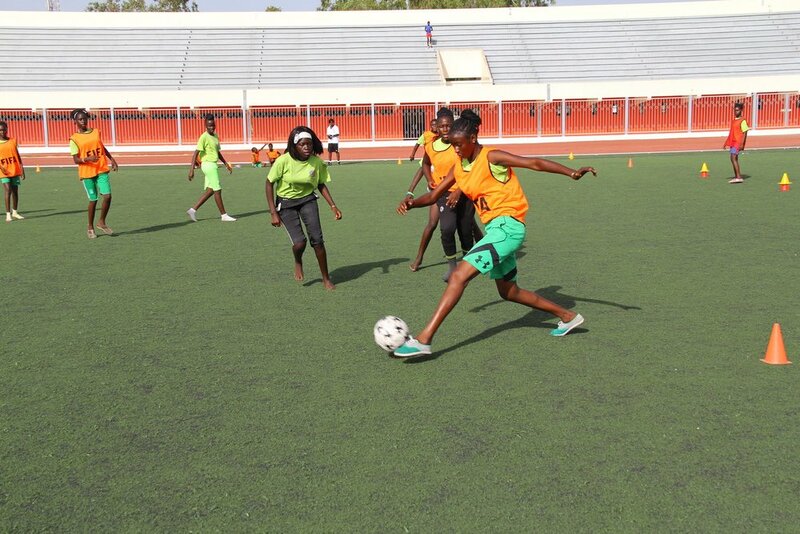 This exchange helped encourage women’s empowerment through sports and provide marginalized girls with alternate activities for expression. During the first days in Morocco, the envoys led “train the trainer” workshops with coaches focused on track and field coaching techniques and the development/management of the sport for girls. In Azrou—a small marginalized city in the Atlas Mountain—the envoys held clinics with young adolescent girls in an Embassy-organized “Free to Run Camp” as well as led motivational talks on the global lessons of Title IX. After the camp, the envoys traveled to two small neighboring cities (Imouzzar and Sefrou) to lead a half-day initiation track and field training with 100 girls. This program culminated with a 5K run in Morocco’s capital city of Rabat.